Rumors abound that the beleaguered Canadian company BlackBerry is considering introducing Android-based smartphones to its lineup of products. First off, let me say I’m a little surprised that BlackBerry is still around at all! I figured they’d be long gone by now. It is a testament to how strong they were before, their entrenchment in the enterprise market, and their portfolio of technology assets that they’ve been able to stay in business to this point. Once the king of smartphones, BlackBerry’s world was turned upside down first by Apple’s iPhone and the subsequent plethora of Android-based devices. They are hardly a blip anymore in the mainstream market, and their grip on corporate accounts has been slowly but surely slipping over time. Their BlackBerry 10 (BB10) operating system was their last big salvo in the smartphone war and so far it has been largely ignored by the market at large. So now it seems that perhaps BlackBerry will turn to producing Android-based smartphones to capture any last chance at relevance. Some industry experts think this is a good idea. To some degree, it could make some sense. 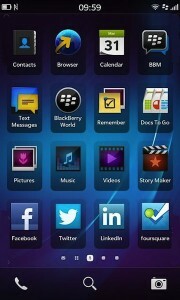 BlackBerry 10 already includes an Android compatibility layer so that some Android apps will run on BlackBerry phones. This enlarges the potential library of apps that BlackBerry phones can work with. Certainly apps are critically important to a smartphone platform’s acceptance in the marketplace. So if the BB10 platform is a non-starter, why not go with an Android-based smartphone and go full-bore into that ecosystem? Perhaps this is BlackBerry’s only option at this point. While publicly, BlackBerry is sticking with their BB10 operating system (which makes sense as to not knife the baby at this point), if they know that BB10 is ultimately doomed, their only chance at smartphone relevance is the “if you can’t beat ’em, join ’em” strategy. Since they can’t make Apple iOS devices, then Android is their only choice. While maybe this is their only option, it doesn’t mean this is actually a good strategy for profitability. Joining the ranks of the multitude of Android smartphone manufacturers will simply dilute any differentiation the Blackberry brand had. Perhaps 10 years ago the BlackBerry brand would have stood out to the marketplace. However, in 2015, Android is a quagmire of mediocrity and the Blackberry name has not proven itself strong enough to attract customers since Apple introduced the iPhone in 2007, ushering in the New World of Technology. By becoming yet another Android smartphone manufacturer, BlackBerry will simply become another face in the crowd. BlackBerry’s only chance is to survive in the Android marketplace is to become the flagship Android brand. With Samsung’s sudden decline in the overall smartphone market since Apple introduced their iPhone 6, there is an opening available for someone to swoop in and create a name for themselves. However, the Android marketplace is not a one that values differentiation. Android owners are hardly loyal to their devices, as has been shown with the defection rate from Samsung now that Apple has large-screen devices. I can not see a reasonable scenario where BlackBerry enters the Android market and is able to successfully compete with the other Android handset makers, not to mention Apple’s iPhone. If anything, the BlackBerry name is a symbol of the Old World of Technology and most consumers aren’t all that hip to buying a brand name from the Jurassic period of smartphones. If anyplace, the BlackBerry name may have some panache in the corporate world, but the New World of Technology has taught us that the consumer market sets the trends now. Without the consumer market, a mobile device like a smartphone has little chance of succeeding. The bottom line is that whatever chatter you may hear about BlackBerry in the near future, don’t put too much stock in any hopeful news you may hear. Unless and until BlackBerry shows itself a resurgent force in the smartphone market, you are simply setting yourself up for another Android flash in the pan, and will likely be stuck with a device that has a dubious future, including the possible lack of timely (if any) updates for security or feature improvements. Operating system giant Microsoft may have moved ahead of BlackBerry (BB) with their Windows Phone (WP) devices in terms of market share but we can’t set aside the reality that both platforms are struggling in third and fourth place. 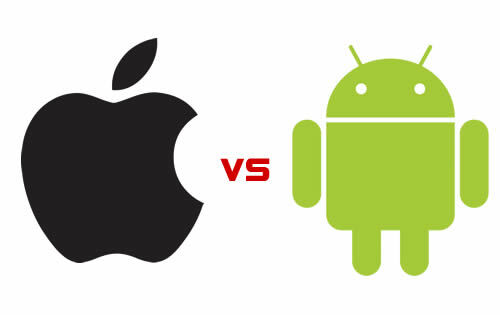 Android and Apple now command the Smartphone market once controlled by BlackBerry and Microsoft. Can these two once dominant players survive? What are the main reasons for their fall? and BlackBerry OS, in spite of releasing their new BB10 operating system earlier this year, dropped to fourth place with only 2.9% share or 6.8 million units sold last quarter. Global marketshare is very different from United States marketshare. (Android 52%, iOS 40%, BlackBerry 3%, Windows 2%) The influence of the United States market on the rest of the world is significant and can not be excluded from global marketshare analysis. Market share can be calculated by operating system or manufacturer. Apple is the only manufacturer of the iPhone and therefore profits from all iPhones sold, whereas there are several manufacturers of Android, Windows, and BlackBerry phones. In the Android market, only Samsung can be considered successful by measure of profitability. Profitability is ultimately why companies manufacture products and unprofitable manufacturers will not likely have longevity in the market. This could skew market share numbers in the near future. Market share can be calculated by sales into the channel or sales to end-users. Not all manufacturers calculate sales in the same way. In regards to platform viability, he smartphone market is tied to the tablet market. Apple’s iPad holds a stronger position in the tablet market, and Windows and BlackBerry’s shares are minuscule. The smartphone market is still growing, with all major manufacturers showing growth, even as marketshare fluctuates. Market share statistics are generally quoted from the most recent quarter, ignoring the entire installed base of devices currently in use. Market share is only one measure of a platform’s viability. Other statistics show that iOS is actually used by more people and developers are making more money on the iOS platform. This final measurement is very important as will be shown later in this article. If we observe the smartphones running the WP and BB platforms, we’ll notice that their specifications are at least on par with the latest innovations in mobile technology. For example the Nokia Lumia 1020 packs the most advanced camera for a mobile device so far. It boasts a 41-megapixel capacity which is far more megapixels than most other smartphones, such as the iPhone’s 8-megapixel camera. One major factor behind the fall of the the WP and BB platforms are their lack of applications. The WP marketplace only has 100,000 available apps according to Appcelerator’s 2013 Q2 developer survey. And many of which are mere copycats and third-grade clones of the other apps that are available in the leading platforms. For example, in lieu of the Instagram photo sharing app, they have Instacam, which offers a similar experience but with limited features and functions. Even the YouTube application is just a simple app linking the user to the web version through the device’s browser. BlackBerry claims that their new BB 10 OS has 100,000 applications based on CRN’s latest report. But we have to take into account that 20% of that number are actually Android apps that were ported to the system with the use of an emulation engine. Moreover, these apps are actually optimized for older versions of Android, meaning, they are now outdated based on current standards and specifications. His statements would prove prescient as exactly a week later, Nokia agreed to a $7.2B acquisition of its devices and services unit by Microsoft. Nokia is the largest manufacturer of Windows Phones through the Lumia series but sales were down 24% in spite of its record sales. Once the deal is finalized and the companies operations merged, all future smartphones will become Microsoft-branded. Building on their previous history, an acquisition like this could mean greater synergy between the two manufacturers and result in a more focused and competitive end product. But given Microsoft’s failure with their self-branded Surface tablets, Microsoft has yet to prove they can compete in the mobile device market. 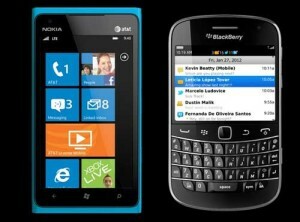 With the emergence of Mokia, BB’s potential as a relevant competitor in smartphone market share becomes even bleaker. Peter Garnry, equity strategist at Saxo Bank, suggested that the company focus on its security and data network capabilities instead of trying to compete directly against Google, Apple, and Windows with a fourth operating system. In an interview with Microsoft Business manager Larry Liebman, they consider their current position as a “victory.” Liebman added, “We think we’re solidly the third ecosystem right now. That’s a huge announcement in some respects. [WP] growing faster than anyone else right now.” While it seems a stretch to consider 3rd place a victory over the falling BlackBerry platform, Microsoft has the luxury of a significant cashflow from other markets. Windows on the PC and Microsoft Office keep Microsoft in a strong cash position for now, so they have time to develop their market share. Creating a strong following of app developers for either Microsoft of BlackBerry is now a chicken-and-egg problem. Without a strong market share (or other platform viability measurements) developers have little incentive to create for those platforms. But without a strong app marketplace, those platforms are not likely to grow stronger. BlackBerry almost certainly does not have the cash reserves to reverse their fall. However, Microsoft with their recent purchase of Nokia and a strong cash position may just be able to weather the storm and become a strong third-place player. 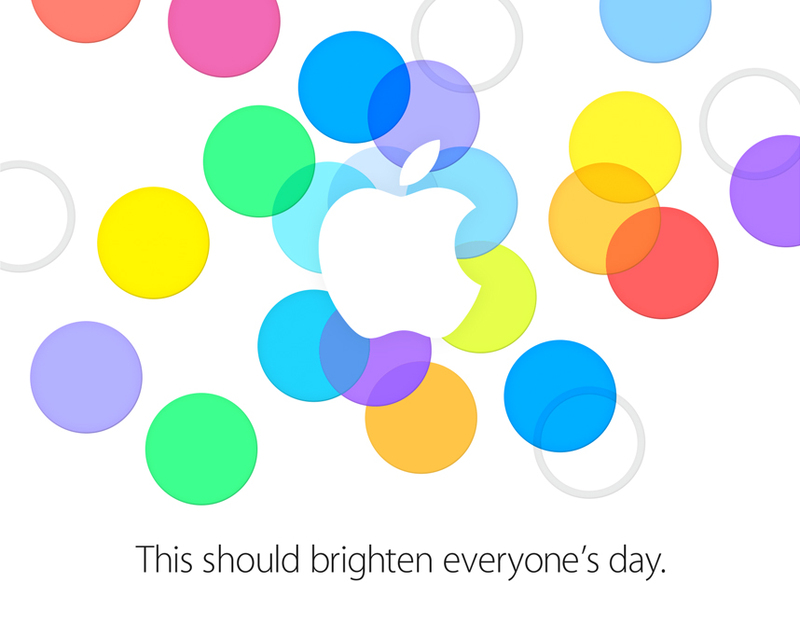 In case you missed it, Apple sent out invites to selected people today announcing an event for Septmeber 10th. It is widely expected that Apple will introduce new iPhones along with iOS 7. Rumors strongly point to two iPhones being released: an expected upgrade to the iPhone 5 being called the “iPhone 5S” plus a lower cost “iPhone 5C.” The “C” may potentially stand for “color”, as in that iPhone may offer various color choices. The invitation sent out shows a variety of colors, which seems to support the idea of color choices, but to me also seems to hint at iOS 7’s new color scheme. I guess we’ll all see in one week. 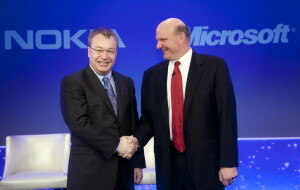 The big news in the tech industry today is that Microsoft is buying Nokia’s cellphone business in a $7 billion deal. Only a little more than a week after announcing CEO Steve Ballmer will retire within the next twelve months, this is apparently another step in the massive reorganization of Microsoft and their business model announced in July. In order to better compete in the New World of Technology, Microsoft hopes to emulate Apple’s model of designing and manufacturing both the hardware and software in their products. What does this mean for the technology industry? Does it change Microsoft’s position in the market significantly? For the short-term the answer is definitely no. The deal isn’t expected to complete until the first quarter of 2014 and will be subject to approval by the shareholders of both companies. Likely too, US and EU regulators will want to investigate the merger and give it their approval. Assuming that the deal is completed by first quarter 2014, the actual work of merging both companies will take a significant amount of time. If any notable changes occur before the holiday shopping period of 2014, I’ll be very surprised. So if the holiday season of 2015 is the first opportunity Microsoft has to truly capitalize on a purchase of Nokia, we must wonder if Microsoft will have any chance of making waves in the smartphone market by that time. Given the tight relationship between Microsoft and Nokia over the last couple of years – Nokia-brand smartphones account for 85% of Windows phones sold – this deal isn’t really surprising. Nor does it give much reason to believe that anything different will ensue now that Microsoft will officially absorb Nokia’s cellphone business operations. Windows phones did overtake BlackBerry as the #3 smartphone platform recently, but that isn’t saying much as BlackBerry is in a death spiral. Simply purchasing a cellphone manufacturing business doesn’t ensure Microsoft will do any better than they have so far. What this deal does give Microsoft is complete control over their smartphone platform, which should give them the ability to quickly incorporate new features into Windows phone since they do no longer need to coordinate with their hardware partners. This sounds good, except the fact that Microsoft just wrote off nearly $1 billion of unsold Surface tablets. This debacle shows that Microsoft hasn’t executed well even when they did produce a product of their own hardware design. Do we expect they will do any better now that they will be able to manufacture their own smartphones as well? Or does this simply give Microsoft more rope to hang themselves with? The only bright spot Microsoft has is their strong cashflow position. Microsoft has the money to throw at their problems and therefore has time to reinvent themselves, even if this takes several years. The only question is will the company that comes out of this be anything like the Microsoft of old? Also if Microsoft isn’t careful, they could blow their cash cows in the next couple of years if they risk everything on Windows, risking the entire company along the way. So the bottom line is that while Microsoft seems to have figured out that in order to compete in the New World of Technology that Apple is dominating they must follow the rules that Apple has set, this is no guarantee of success. If Microsoft will have any success with their massive reorganization, it will take years to see it bear fruit. This is far too long for any business to wait for Microsoft to get their act together, so business should continue to migrate away from Old World Microsoft technologies without hesitation. If Microsoft ever does create compelling New World technologies in the next few years, business can evaluate those as they would any new technology from any other company. RIM is Dead; Long Live BlackBerry? The company formerly known as RIM, whose claim to fame is the BlackBerry smartphone line, has changed their name to BlackBerry. I, for one, am entirely ecstatic about this, as this will be the last sentence I will ever write explaining that RIM is the company that makes the BlackBerry. Most people had no idea who RIM was, they just assumed the company was called BlackBerry. Apparently, RIM finally got the hint. Oh, and by the way, the company also finally released their long-delayed and somewhat-anticipated new smartphone platform, the BlackBerry 10. I long ago wrote off RIM, er BlackBerry, as dead. 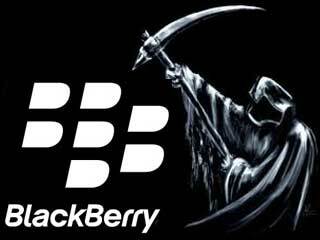 Once they announced they were delaying BB10 until after the 2012 holiday season, I called Time of Death. Truly, last year was their only chance at capitalizing on a new platform, and by missing the holiday season, they effectively lost an entire year. Assuming there even is room for a 3rd place competitor in the mobile device market, BlackBerry will be fighting for table scraps against Microsoft and there really won’t be any winners in that war. By and large, most pundits agree that BlackBerry’s chances are extremely slim. But if you follow the technology industry at all, or if you are exposed to people in the technology industry, you will read or hear some positive reviews as well as some arguing that BB10 will save BlackBerry. Let me summarize why none of this matters, especially to consumers and small business owners. While I haven’t had any hands-on with a BB10 device (the devices won’t be released until March or April), many reviews are positive regarding the BB10 user experience. I won’t argue those points. The real question should be is BB10 so much better than its competitors that it will cause a huge defection from people using iPhones or Android-based phones? Almost certainly not. Especially considering that changing phones will mean the loss of purchased apps for that platform, and in the case of the iPhone, a move away from the iTunes ecosystem. BB10, just like Microsoft’s Windows 8 phones, will have a huge challenge fighting the inertia of the installed user base of the iPhone. Evidence shows Android phone users are not as loyal, so they might gain some adopters from that platform, but not likely much of any consequence. Why should you care if BlackBerry has a large marketshare? The reality is that most developers will not put the effort into writing Apps for a platform without a sufficient user base to profit from. But without quality Apps, a platform will not attract a large user base. It’s a chicken-and-egg problem that BlackBerry just doesn’t have the time or financial resources to overcome. Microsoft maybe, but even that’s to be seen. One train of thought I’ve seen from technology writers is that the BlackBerry 10 will be a hit among its traditional stronghold of corporate IT departments. They claim that IT departments will be eager to upgrade the BlackBerry devices they currently deploy to their corporate users. This might be true, although there is also a chance that IT departments will be slow to adopt the entirely new BB10 platform, either because they want to take the time to thoroughly test it or because they aren’t convinced of its future. Even assuming that IT departments like the BB10 platform, the reality is that it simply doesn’t matter. First, corporate smartphone users, who used to make up the vast majority of the market in The Old World of Technology, now make up a fraction in The New World of Technology. Consumers and small business owners now rule the roost, and they have all but forgotten about BlackBerry. Second, because of this consumerization of the technology market, the Bring Your Own Device (BYOD) movement is spreading rapidly across the corporate IT world. In a nutshell, BYOD is the idea that employees are expecting that their workplaces will support the use of their personally-owned technology devices, such as smartphones. By and large, these devices are iPhones – not BlackBerry phones. And by and large the movement is so strong that corporate IT departments have little choice but to comply with their users’ wishes. The era of corporate IT dictating smartphones to their users has passed. The idea that corporate IT will have any significant influence on the smartphone market is wishful thinking. The bottom line is that if BlackBerry’s only hope is in corporate IT, then they have almost no chance at all. The era of trickle-down technology, where small business and consumers waited to see what technology shook out from big business, is over. Since small business and consumers drive The New World of Technology, BlackBerry has simply become irrelevant. BB10 is BlackBerry’s last gasp before they sink below the surface; don’t get dragged down with them. A recently uncovered Apple research study showed that prior to January of 2011, the largest factor for people buying an Android phone instead of an iPhone was that the iPhone was not available on their carrier. This was just prior to Apple releasing an iPhone for Verizon in February of 2011 and then later for Sprint in October of that year. Since last year, the iPhone is now available on the top three carriers in the United States. Not coincidentally, iPhone sales have continued to grow at record paces, and as I wrote previously, carriers who don’t have the iPhone are losing customers to those that do. The release of the next iPhone model this fall will mark the second upgrade cycle opportunity that customers will have to switch to the iPhone on Verizon and Sprint. This past year I have seen a high number of my clients switch to the iPhone that have Verizon or Sprint. I know many people who say they are waiting for the next iPhone to switch away from their Android or BlackBerry phones this year. Assuming that this small sample size will extrapolate out further, Apple stands to benefit from some pent-up iPhone demand this upgrade cycle. By next year’s iPhone release, customers on Verizon and Sprint will have had at least two full years to complete the usual two-year contracts that most carriers require before upgrading their phones. I expect that we will see the full impact of Apple’s entry into the Verizon and Sprint markets by that time. Regardless, even if one is inclined to look at the raw marketshare numbers of the various Android-based smartphones on the market, the reality is that pure volume does not drive the success of the smartphone market. Studies have shown that iPhone users are very different than Android users, primarily when it comes to spending money on apps or driving profits for mobile carriers. In addition, Apple makes a lot of money from their iPhone sales, where most of the various Android device makers are not generating great profits, nor does Google derive any real profit from their Android platform. For the sake of the long-term health of a platform, not making any profits doesn’t bode well for continued industry support. The bottom line is that any perceived marketshare victories for the Android platform in the past were largely due to the simple fact that people who wanted the iPhone on their carrier couldn’t get it. After this upcoming upgrade cycle, we should see further evidence of the ever-growing dominance of the iPhone. There’s little reason to believe that the iPhone is losing its status as the premier smartphone platform, especially when bolstered by the dominance of the other iOS device, the iPad. If you are considering an iPhone or iPad purchase, proceed without hesitation. If you are planning an Android device purchase on the premise that the Android platform is reaching parity with Apple’s iOS devices, please consider very carefully before committing your money. RIM announced earlier this year that that their upcoming BlackBerry 10 operating system would be delayed until fall 2012. Even with all that, I gave RIM a sliver of hope that if they could survive until the fall of this year, the release of their BlackBerry 10 operating system before this Christmas holiday season might give them some sales that could keep them breathing for another year. But now, a couple of things have happened that I believe are the final nails in the coffin for this once great company. 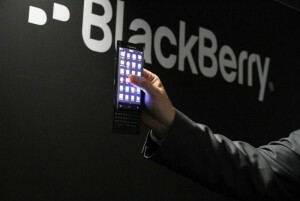 First, RIM has just announced that the BlackBerry 10 operating system will now be further delayed until early 2013. This means that they will miss this year’s holiday season, effectively putting them another full year behind the iPhone. That by itself is a fatal blow. Start writing the eulogy because RIM is terminal. If that wasn’t enough, it has been confirmed that carriers are negotiating to lower the fees they pay RIM for the BlackBerry service. These fees are charged to the carriers by RIM for every subscriber that uses a BlackBerry and accounts for one-third of RIM’s revenue. RIM can ill-afford to lose any revenue right now, but it is likely that the carriers have leverage against the struggling company. Consider that there are no such fees charged by Apple for their iPhones or Google for any Android-based phones or Microsoft for any Windows-based phones. The reality is that due to the legacy nature of the BlackBerry service, RIM must support infrastructure costs that Apple or Google or Microsoft do not. When BlackBerry was king of the Old World of Smartphones, carriers just had to deal with those fees. Now with RIM on the ropes, carriers probably know they can get lower fees. So if RIM loses even more revenue it will only accelerate the end. The question is what does “the end” mean for the BlackBerry? RIM is rumored to be courting companies to buy them out. The question is who would want to buy them? What company could do anything better with the BlackBerry brand? It may be very possible that no company is truly interested. If this is the case, the end may come suddenly and abruptly for the BlackBerry, possibly leaving their users without e-mail service if some company or companies (perhaps the carriers) do not pick up the management of the BlackBerry service infrastructure. However, even if some company does buy out RIM, will the BlackBerry brand fare any better than the Palm brand did when HP bought them out? HP couldn’t gain any marketshare with their WebOS-based devices and completely killed the line last year. The tale of Palm’s WebOS and its fate with HP seem to be have many parallels with BlackBerry’s situation to this point. Companies may be heeding HP’s costly lesson which would explain why there is little interest in purchasing RIM. Any way you look at it, It seems certain that the days of the BlackBerry are numbered. If you currently depend on the BlackBerry, it would be wise to start planning a migration to another platform as soon as possible. In a move that was as surprising as it is rife with possibilities, Google announced today they will purchase Motorola’s Mobility division for a staggering $12.5 billion. It is clear that this move is a game-changer for the smartphone industry. But the real question is who’s game does it change? Is this move simply a patent portfolio purchase? Perhaps Google is trying to shore itself up against future litigation like the lawsuits their hardware partners are encountering now. But it isn’t evident that Motorola Mobility had any patents worth gobbling up. If so, likely the other players who have been purchasing patent portfolios would have been bidding. And from early reports, it appears that Google will keep Motorola Mobility running as a wholly owned and independent subsidiary. So it doesn’t appear to just be a patent grab – especially considering what Google paid. $12.5 billion is about one-third of their cash reserves. So if Google is interested in making both the hardware and software (a la the Apple iPhone and iPad), where does this leave Google’s current Android partners? Does Google actually intend to allow other companies to continue to make Android-based phones and tablets while competing against them with their own devices? Does Google think that their partners are excited about this? If it is true that Google wants to move to an Apple-style production model, it only reinforces the idea that Apple’s top-to-bottom control model is the only viable blueprint for the New World of smartphones. The Old World of smartphones was characterized by one company creating the software, other companies creating the hardware, and the carriers enforcing their whims on both. I’ve written many times how Google was following the footsteps of the Old World smartphone market with potentially disastrous results. Perhaps they’ve figured this out now? Then the question becomes can Google compete against Apple in the game Apple invented? Apple has been in the hardware manufacturing business for over 35 years, has a minimum 4 year head-start on smartphone manufacturing, and has ample experience with all the business infrastructure required to run a company that makes physical products for their customers (support staff, fabrication contacts, supply chains, etc.). Google has never competed in this market before, and when they tip-toed into it with their Nexus One phone, most agree it was a disaster across the board for Google. Has Google learned from their mistakes or are they hoping that Motorola’s experience will fill in the gaps? Either way, it seems like a long shot for Google to take Apple head-on. But, after a couple of years of doing things the Old World way, perhaps Google has come to the realization it is their only viable strategy? If so, can Google rollout this new model quickly enough to avoid a potential disaster? If Google chooses this new path, it goes against almost everything Google has said to this point regarding their strategy for the smartphone market. Not only could this destroy some of their credibility in the industry, but it could also devastate their relationships with their current hardware partners. What would happen if their partners suddenly stopped making new phones (say after the holidays this year)? Could Google’s Android platform survive such a blow? Could Google have a full-blown operation running to counter this potential so soon? The bottom line is that this move won’t have any effect on the market until at least the beginning of next year. However, it is not too early for those considering device purchases to ponder the ramifications that this move will have. Primarily, if Google’s move destroys their relationships with their current hardware partners, what will happen to their options for support and upgradability over the next couple of years? If one buys an Android-based Samsung phone today, for example, and expects to keep it for 2 years, will they be orphaned in 6 – 9 months? Already, Apple iOS devices have an overall ease-of-use and reliability advantage over the various Android-based devices. Now a cloud of uncertainty exists over the future of the current line-up of Android devices. At least until it is clear what Google’s plans are with this purchase and what effect it will have on their current hardware partners, I must recommend extreme prudence to those considering a purchase of an Android device.